When a Wikileaks email dump last year revealed that leaders of the Democratic Party worked to tilt their primary in Hillary Clinton’s favor against opponent Senator Bernie Sanders, a similar but lesser-known political battle between an established politician and an underdog reared its head in the state of Florida. 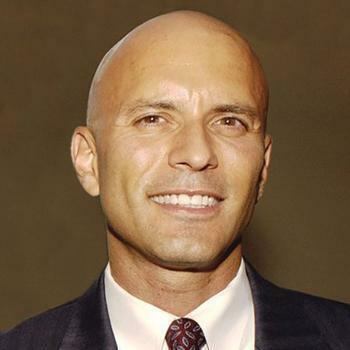 Tim Canova, an attorney, economist, and professor who currently teaches at Nova Southeastern University, challenged incumbent and then-DNC chair Debbie Wasserman Schultz last year in a bid to represent Florida’s 23rd congressional district in the House of Representatives. Some of the major issues that Canova centered his campaign around included his support for a total ban on fracking in Florida and his opposition to the Sabal Trail Pipeline, a proposed $3 billion project that its backers say will deliver natural gas from Alabama and Georgia through Florida by June 2017. The project, the EPA warned in 2015, could contaminate the Floridan Aquifer, where much of the state gets its water, but the EPA reversed its position one year later. Community groups and environmental groups, on the other hand, have continued to wage a campaign against the project. 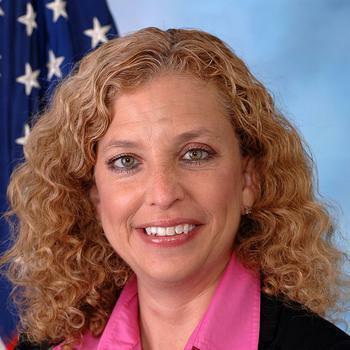 While the pipeline was a major focus of Canova’s campaign, the issue never came up in Wasserman Schultz’s. “As far as I know, she’s never uttered the words Sabal Trail Pipeline,” Canova tells ConsumerAffairs. "Most of the political class in Florida has also remained silent. When you look at the state of Florida, a great number of politicians here have taken campaign donations from either Flower Power & Light, or Duke Energy, or NextEra," the same group building the Sabal Trail Pipeline. Wasserman Schultz ultimately beat Canova by 6,775 votes, about 28,000 votes to his 21,000. But now, with the election in the rearview mirror, there is a sign that the congresswoman is at least paying attention to the controversial project. "Debbie Wasserman Schultz, she wants to know more," Merrillee Malwitz-Jipson, an organizer with Sierra Club’s Florida chapter, tells ConsumerAffairs. The Sierra Club is one of several groups currently suing the Federal Energy Regulatory Commission to stop the Sabal Trail Pipeline. Malwitz-Jipson recalls getting a phone call from one of the congresswoman’s staffers about a week ago. The staffer, she says, “wanted to know about the public and what the public was doing about the pipeline,” so Malwitz-Jipson emailed him public documents detailing testimony that people gave about the project. (The congresswoman’s office did not return messages left by ConsumerAffairs). Florida is a state that experts say is particularly vulnerable to the effects of climate change, due in part to the $69 billion worth of coastal property at risk of being inundated by a rising tide and the porous limestone that cities like Miami are built on. That limestone sediment means that Florida’s land is prone to both sinkholes and flooding. And the oil that Florida produces isn’t as high quality as oil found elsewhere. Yet despite all this, Florida continues to attract more oil and gas projects, says Jacki Lopez, a staff attorney with the Center for Biological Diversity. "Florida is becoming this destination and hub for oil and gas exportation,” she tells ConsumerAffairs. The Sabal Trail Pipeline is just one of several projects that local organizers say could threaten the state’s fragile aquifer system. In January, Florida Power & Light won approval from Governor Rick Scott to store radioactive waste underneath south Florida’s Biscayne Aquifer, which supplies drinking water to the region. The National Park Service last year gave drilling companies the go-ahead to conduct seismic exploration in the Big Cypress National Preserve, a protected wetland and another source of drinking water. Meanwhile, President Trump is planning to expand off-shore drilling along the Atlantic coast. The state’s overall geology “makes our aquifer system and our natural resources really vulnerable to contamination,” Lopez adds. At the state level, lawmakers are considering bills to both ban fracking and to expand it. Nationally, Republican Senator Marco Rubio “hasn't lifted a finger on this issue,” Lopez says, other than to write letters expressing his support for more oil and gas development. Former House candidate Canova recalls attending a hearing in West Palm Beach that Senator Nelson organized regarding climate change. The witnesses, Canova says, mostly talked about the ways that Florida should adapt to climate change. “There was no discussion really about how do we really quickly become a leader in solar, wind energy and renewables? How do we get off of this addiction to fossil fuels?" With its sunny and suburban atmosphere, Florida would seem to be the ideal place for the solar industry to take off. Many Florida consumers are in fact using government and company rebates to install solar panels on their own homes, a move that is not welcomed by local or out-of-state energy companies. 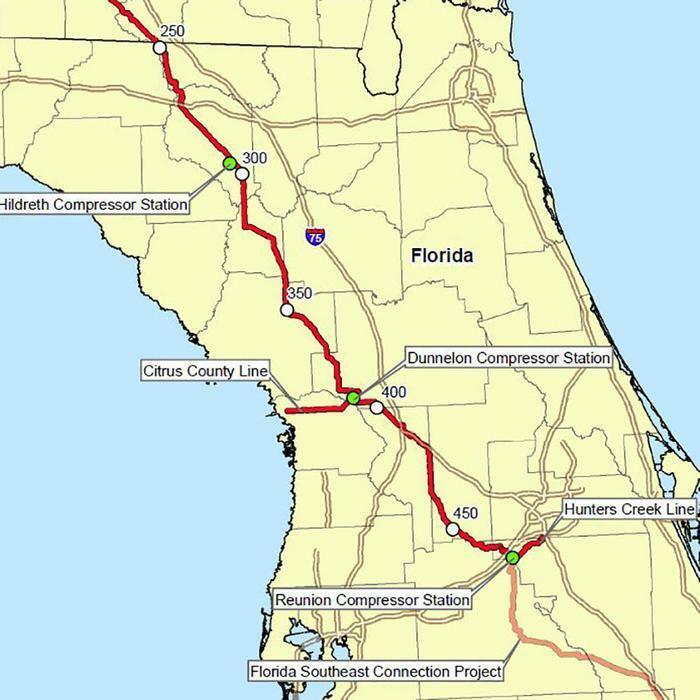 Sabal Trail Pipeline backer Florida Power & Light, which is also the state’s largest utility, spent a reported $20 million backing a proposed state amendment last year that experts said would have discouraged consumers from purchasing solar panels. The amendment failed, and Florida Power & Light at the same time pledged to expand its solar forms, enough to comprise just four percent of the state’s energy needs by 2023. Florida Power & Light’s parent company, as former candidate Canova notes, has donated to the campaigns of lawmakers on both sides of the aisle, including Wasserman Schultz. Her former opponent sounds cynical about her office’s apparent, newfound interest in the Sabal Trail Pipeline.